Delaney Plumbing are Gas Safe registered and can carry out any replacement, installation or service of your gas boiler. We specialise in boiler installations, making quick easy work of it. We specialise in the design, installation and service of natural gas, LPG and electric boilers. We are Vaillant, Ideal and Viessmann approved installers and have been highly trained to install, commission and service to the highest level. We can even give you an extended warranty up to 12 years. We will insure your heating system is thoroughly flushed out to remove any sludge and debris sitting in your radiators and pipes. Your new boiler will also be fitted with a serviceable sludge filter to further the warranty of your new boiler and to optimise the systems efficiency. 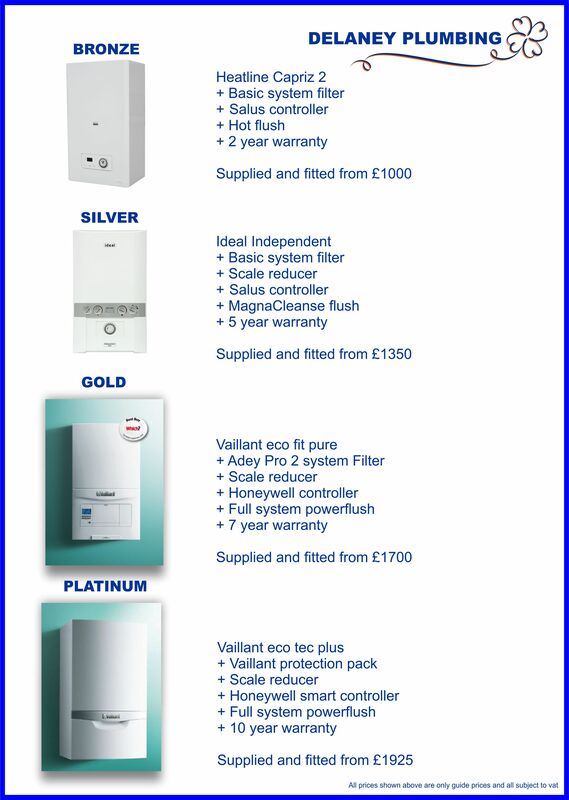 You can rely on us to fit you a highly efficient boiler, safely, at an amazing price. 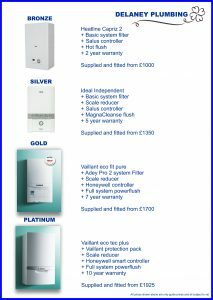 We guarantee our work for you, and are accredited installers for reputable boiler manufacturers. 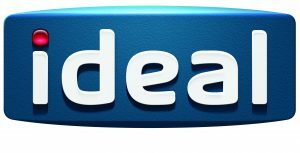 We provide affordable, safe, carefree boiler installations, heating upgrades and installations, servicing and breakdowns. We have many years’ experience in the plumbing and gas industries, giving you a highly professional service. 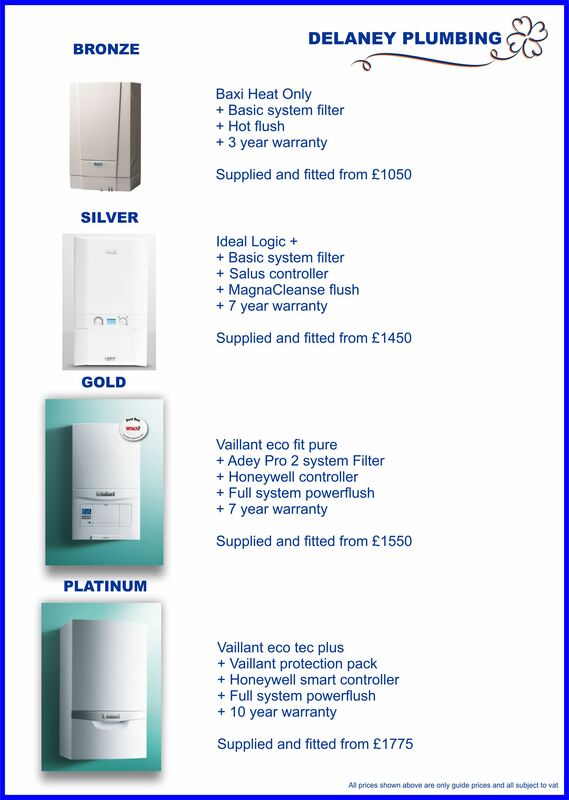 We ensure you get a boiler that matches your needs without any unnecessary add-ons. 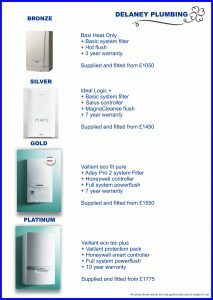 To find out what would be the best boiler for you, read our advice page here.